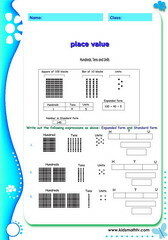 Place value of numbers worksheets, for children from 1st to 6th grades, number positions like units place, tens place, hundreds, thousands place, ten thousands place. 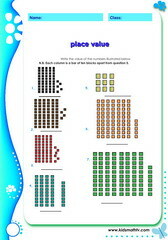 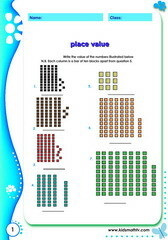 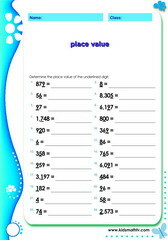 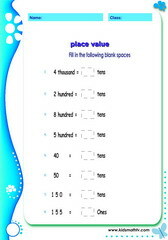 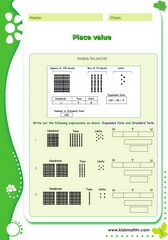 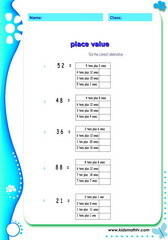 Place value of numbers worksheets for children from 1st to 6th grades. 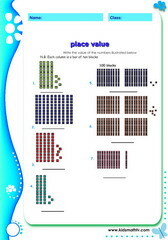 Kids in the previously mentioned levels must have heard about number positions like units place, tens place, hundreds, thousands place, ten thousands place etc. 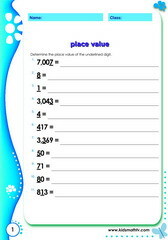 Other skills include expanded and standard forms of numbers and finding the place value of numbers in large numbers. 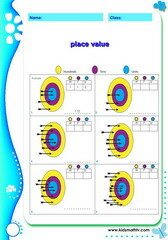 Practice Place value exercise illustrated with arrows with this worksheet.